A timeless classic that remains funny no matter how many times you watch it. 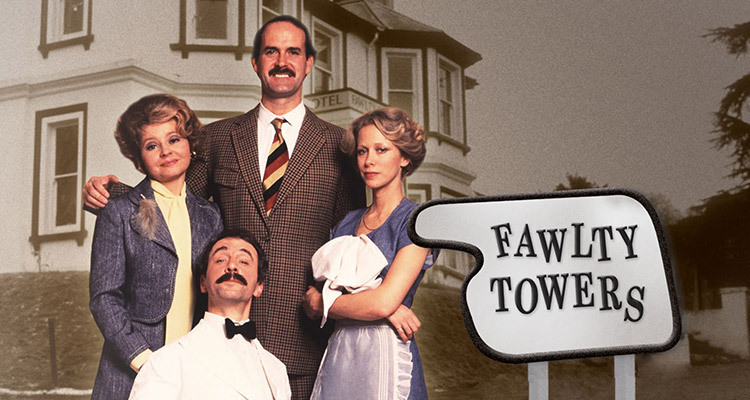 Broadcast on BBC 2 over two series of six episodes each, the first in 1975 and the second in 1979, Fawlty Towers has become a British Comedy Institution. It was on a visit to Torquay, during his time with the Pythons, that they stayed at the ‘Gleneagles’ Hotel. It was here John Cleese observed the customer service skills of the hotel manager. 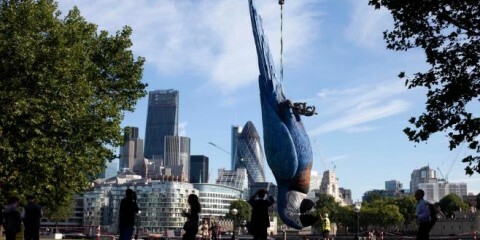 It was his eratic behaviour that inspired Cleese to create his immortal Basil Fawlty Character. The first series (1975) was produced and directed by John Howard Davies, the second four years later was produced by Douglas Argent and directed by Bob Spiers. The series focuses on the exploits and misadventures of the short-fused Basil Fawlty, his wife Sybil, Spanish waiter Manuel, maid Polly. In the second series chef Terry also becomes part of the comings and goings. The episodes typically revolve around Basil’s efforts to succeed in ‘raising the tone’ of his hotel which usually fail with hilarious consequences. Much of the humour comes from Basil’s overly aggressive manner, engaging in angry but witty arguments with guests, staff and in particular his formidable wife Sybil. Despite his many little pet names for her (such as “my little nest of vipers” or “my little piranha fish”) Sybil usually manages to avert complete disaster by stopping Basil in his tracks with a cry of “BASIL !” Despite his best intentions and willing assistance from Polly, Basil usually ends up coming off worse. Although the series is set in Torquay in Devon, none of it was shot in South West England. For the exterior filming, the Wooburn Grange Country Club was used as the hotel and that was situated in Buckinghamshire. This was later used as a nightclub named “Basil’s” for a short time after the series ended, before being destroyed by a fire in March 1991. The remnants of the building were demolished and the site was bought by developers. Other location filming was done mostly around Harrow, Middlesex. In the episode “The Germans”, the opening shot was of Northwick Park Hospital. In the episode “Gourmet Night”, the exterior of Andre’s restaurant was filmed on Preston Road in the Harrow area. The launderette next door to the restaurant still exists today and Andre’s is now a Chinese restaurant called “Wings”. So we know what happened to the “hotel” but what about the rest of the cast, what happened next? 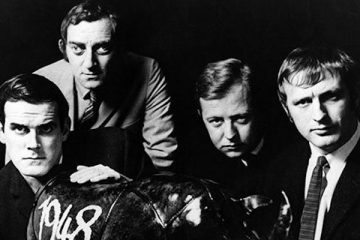 Since the show ended John Cleese has kept himself pretty busy with various TV and film projects, highlights of which include: one-off TV special Peter Cook and Co. in 1980, in 1981 he starred with Sean Connery and Michael Palin in the Terry Gilliam-directed Time Bandits as Robin Hood. In 1982 he participated in Monty Python Live at the Hollywood Bowl and starred in The Secret Policeman’s Ball for Amnesty International. In 1986, he starred as an uptight school headmaster obsessed with punctuality and constantly getting into trouble during a journey to a headmasters’ conference, in the film Clockwise. In 1988, he wrote and starred in A Fish Called Wanda. Into the 90’s highlights include the follow up to a fish called Wanda: Fierce Creatures, the film met with a mixed reception by critics and audiences. Cleese has since often stated that making the second film had been a mistake. Of course there was the two Bond films The World Is Not Enough, where he played ‘R’ following the sad death of Desmond Llewelyn he was promoted to ‘Q’ in Die Another Day. 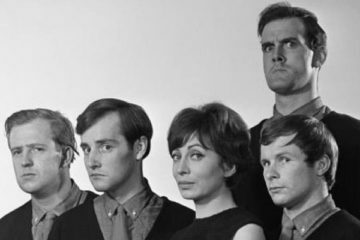 Of course in 2015 there was the high profile re-uniting with the Pythons for Monty Python Live (Mostly): One Down, Five to Go. In 2018 John Cleese returned to sitcom with Hold The Sunset. 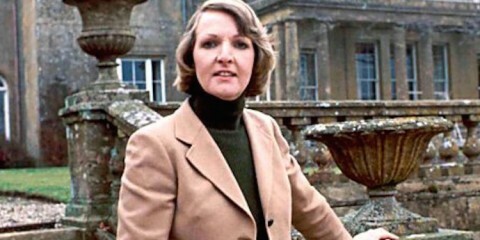 Co writer of Fawlty Towers and starred as Polly in the series, she had married John Cleese in 1968 by the time of the second series of Fawlty Towers they had divorced. Following on from Fawlty Towers, Booth played various roles on British television, including Sophie in Dickens of London, Mrs Errol in a BBC adaptation of Little Lord Fauntleroy, and Miss March in a dramatisation of Edith Wharton’s The Buccaneers. She also starred in the lead role of a drama called The Story of Ruth (1981), in which she played the role of the schizophrenic daughter of an abusive father, for which she received critical acclaim. In 1994, she played a supporting role in “The Culex Experiment”, an episode of the children’s science fiction TV series The Tomorrow People. Ending her acting career in 1995, she studied for five years at London University, after which she began a career as a London psychotherapist, registered with the British Psychoanalytic Council. For 30 years Booth had declined to talk about Fawlty Towers until she agreed to participate in a documentary about the series for the digital channel Gold in 2009. Basil’s “little nest of vipers” has continued her acting career with probably her best remembered appearences in sitcoms including: After Henry, Smelling of Roses and Ladies of Letters. She also starred alongside Jane Horrocks in the Tesco commercials for ten years. 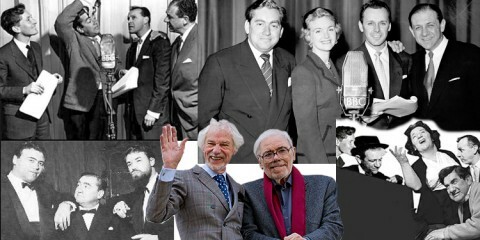 Since the show ended Sachs has leant his voice to various radio dramas, voiceovers. There was also the Channel 4 sitcom ‘Dead Ernest’ and more recently he had a role in Coronation Street in 2009. 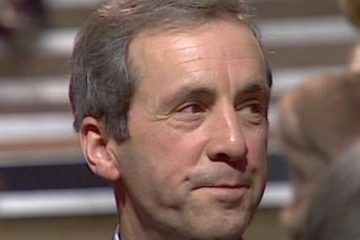 Sadly in 2016, Andrew Sachs passed away.